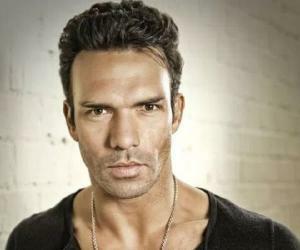 Darren Shahlavi was an English actor, stuntman and a martial art professional. This biography profiles his childhood, family, personal life, career etc. The ‘bad boy’ of martial art movies, ‘Shahlavi’ was an English actor, stuntman and a martial art professional. His was better known by his surname, Shahlavi, which is of Persian origin. Inspired by Bruce Lee, Darren started her career by working as a stuntman for movies, until he was picked by director Yeun Woo-ping to play a negative character in the cult Kung Fu movie ‘Tai Chi Boxer’ (1996). He again played a villain in movies like ‘Bloodmoon’ (1997) and ‘The Techno Warriors’ (1998). 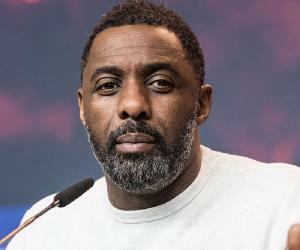 His constant hard work helped him star in several Hollywood movies including ‘300’ (2006), ‘Watchmen’ (2009), ‘Beyond the Limits’ (2008), ‘Born to Raise Hell’ (2010), ‘The Package’ (2013), ‘Tomorrowland’ (2015) etc. He worked in a number of television series too - ‘The Final Cut’ (2004), ‘Sanctuary’ (2008 and 2009), ‘Smallville’ (2009), ‘Mortal Konbat: Legacy’ (2011), ‘Arrow’ (2012). He was best known for playing ‘Taylor ‘’the twister’’ Milos’ in ‘IP Man 2’ (2010). He died on 14 January 2015, in Los Angeles, due to a fatal heart attack. He was 42. 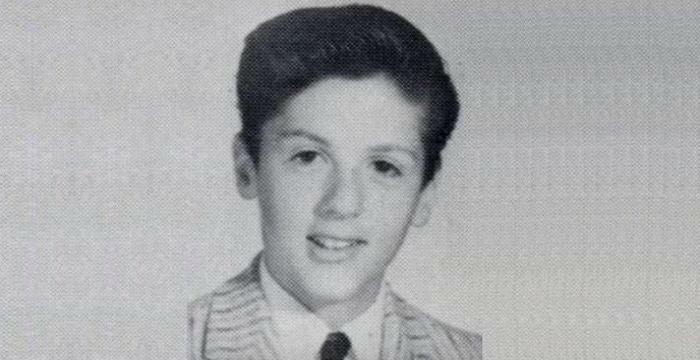 He was only 7 when he started falling in love with action movies. It was the same age when Darren started taking Judo lessons in a theatre, where he often used to see actors performing. His interest in theatre led him to reach the theatre earlier than he should (for his Judo lessons) only to stare at the theatrical performances. When he grew up a little more, he was awestruck by Bruce Lee and Jackie Chan, because of their extraordinary martial arts skills. At 14, he upgraded his martial art skills by learning ‘Shotokan Karate’, and with time, he continued learning boxing, kick-boxing, Muay Thai etc. in Manchester at ‘Master Tody’s Gym’. At 17, Darren attended a seminar on ‘Hong Kong Style Fight Choreography’, and decided to pursue acting. He went to Hong Kong to try his luck in acting. Hong Kong action cinema expert Bey Logan helped Darren, and got him a collection of movies to understand the required skills. Darren was finally put to work as a stunt double. It was mid-1990s when Darren moved to Hong Kong to pursue acting in action genre. 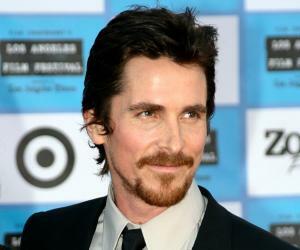 His first movie as a stunt double came in the 1991 film ‘Turbulent Affair’. He continued doing stunts in movies like ‘Hero’s Blood’ (1991), ‘Guns & Roses’ (1993), ‘Deadly Target’ (1994), ‘Angels on Fire’ (1995), ‘Sixty Million Dollar Man’ (1995), ‘Guardian Angels’ (1995), until he made his debut in Yeun Woo-ping’s action movie, ‘Tai Chi Boxer’ in 1996. Darren played the villain opposite Jacky Wu. Along with finding work, Darren was supporting himself by working as a bodyguard to celebrities and night guard in clubs. In 1997, he appeared in another movie ‘Bloodmoon’, where he again played a villain, and starred alongside Gary Daniels and Chuck Jeffreys. In 1998, he played another negative role in ‘Techno Warriors’ and continued his streak in ‘Lethal Combat’ (1999). The following year, he appeared in his first Hollywood venture ‘Hostile Environment’, which turned out to be dud. In 2001, he appeared in ‘G.O.D’ that again didn’t live up to his Hollywood dreams. Meanwhile, he did some more action in martial art movies like ‘Legion of the Dead’ (2001) and ‘Xtreme Warroirs’ (2001). In 2002, Darren finally had his chance to make it a little big in Hollywood when he appeared alongside Eddie Murphy in 2002 movie ‘I Spy’. The movie did decently, and with that Darren’s career got a start. The other Hollywood movies he appeared in are ‘Beyond the Limits’ (2003), ‘Sometimes a Hero’ (2003), ‘Jiminy Glick in Lalawood’ (2004), ‘Alone in the Dark’ (2005) etc. He became a part of ‘The Final Cut’ (2004) where he appeared alongside Robin Williams. In 2005, he worked as an actor in ‘BloodRayne’- a German-American feature film. In 2006, he appeared in horror flick ‘Slither’ following which he had the biggest Hollywood venture of his life - ‘300’ (2006). He worked in major Hollywood movies like ‘In the Name of the King: A Dungeon Siege Tale’ (2007), ‘Alien Agent’ (2007), ‘Watchmen’ (2009) etc. He returned to Hong Kong action with the most famous movie of his career, ‘IP Man 2’ in 2010. He played the main antagonist, Taylor ‘The Twister’ Milos, in the movie. In 2010-11, he appeared in’Born to Raise Hell’ ‘Red Riding Hood’, ‘Tactical Fore’ etc. Thereafter, he acted in two movies, ‘The Package’ and ‘The Marine 3: Homefront’ in 2013. 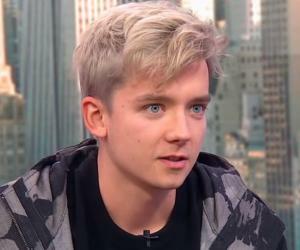 In 2015, he appeared in ‘Pound of Flesh’ and ‘Tomorrowland’ which was a major hit. 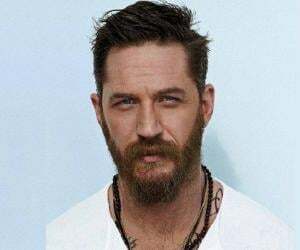 His last movie ‘Kickboxer: Vengeance’ came in 2016. He also appeared in a number of TV shows. Some of these are ‘Reaper’ in 2007, ‘Intelligence’ in 2007, ‘Metal Hurlant Chronicles’ in 2011, ‘True Justice’ in 2012, ‘Borealis’ in 2012, ‘Big Thunder’ and ‘Survival Code’ in 2013. He played ‘Aladdin’ in the 2012 TV movie ‘Aladdin and the Death Lamp’. His last television series was ‘High Moon’ in 2014, where he played an Indian Assassin. His stunt works were included in movies like ‘The Chronicles of Riddick’ (2004), ‘Blade: Trinity’ (2004), ‘300’ (2006), ‘Night at the Museum’ (2007), ‘Postal’ (2007), ‘Night at the Museum: Battle of Smithsonian’ (2009). Some other movies are ‘Smokin Aces 2: Assassin’s Ball’ (2010), ‘Repo Men’ (2010), ‘The Stranger’ (2010), ‘Mission: impossible- Ghost Protocol (2011) etc. He had also appeared as Tier 1 operator in video game, ‘Medal of Honor’ in 2010. His other works include working as assistant to the producer in ‘Guns & Roses’, fight choreographer in ‘Hostile Environment’ and ‘Legion of the Dead’, and stunt coordinator in ‘Beyond the Limits’. He had also worked as a motion capture actor in ‘G.I. Joe: The Rise of Cobra (2009),’Dragon Age: Origins’ (2009) and ‘EA Sports MMA’ (2010). Shahlavi married a Canadian kick boxer, Luraina Undershute, on February 28, 2000, but the marriage did not last long and they divorced in 2003. They did not have any children. His sister, Elisabeth Shahlavi, is also an actress, and has appeared in movies like ‘Icharus Broken’ (2007), ‘Deadtime’ (2012) and ‘Park ‘79’ (2009). 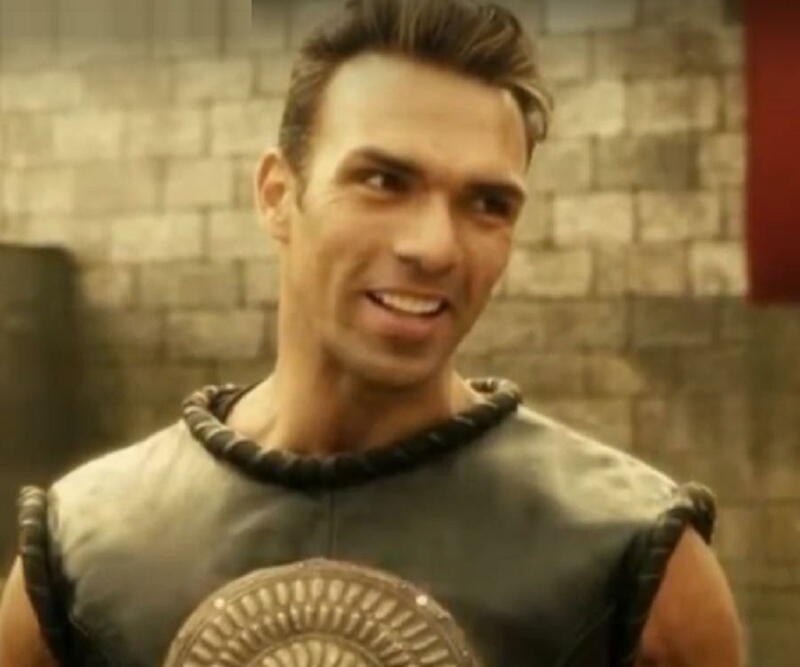 Shahlavi died at an early age due to a fatal heart attack caused by atherosclerosis. He died in his sleep on January 14, 2015. Shahlavi always looked up to Jackie Chan as an inspiration. He had an opportunity to appear in a Taiwanese beer commercial with his idol, and like a true admirer, he seized it!